Freddie Mercury's vocals may be heard once again. Queen guitarist Brian May recently told BBC Radio Wales that an upcoming album could feature previously unreleased songs featuring the late frontman's voice. "We found a few more tracks with Freddie singing and all of us playing and they are quite beautiful," May told host Wynne Evans. "It is a compilation but will have this material that nobody in the world has ever heard. I think people will really enjoy it." "Most of it comes from the '80s when we were in full flight," May added. "It is quite emotional. It is the big, big ballads and the big, big epic sound. It wouldn't have been if we hadn't have done this restoration job. We had to start from scratch because we only had scraps. But knowing how it would have happened if we had finished it, I can sit there and make it happen with modern technology." Queen is considering the title "Queen Forever" for the album, which is expected out later this year. 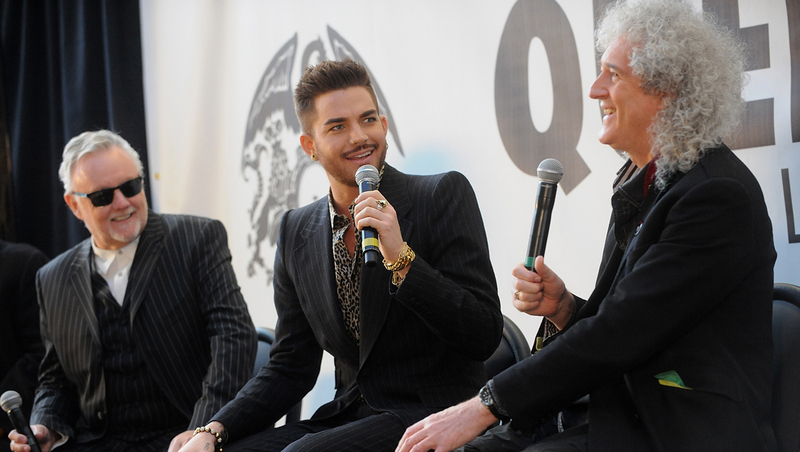 But first up is a tour with "American Idol" alum Adam Lambert serving as frontman of Queen. The outing kicks off June 19 in Chicago. Lambert says he's honored to pay respect to Mercury, who died in 1991: "He's a personal hero of mine, and I am deeply grateful for the chance to sing such powerful music for fans of this legendary band. I know this tour will be a huge milestone for me, and with the support of Brian, Roger and the rest of the band, I feel like magic will be on display.